Spring cleaning? Don’t forget your carpets! Cleaning your carpets might seem like a huge hassle, but it is actually a simple process that will improve the look, feel, and life of your carpets in the long term. Now, all you need to keep your carpets clean is a vacuum, a steam-cleaner, some borax, some vinegar, and a little salt. All of these things, except perhaps the vacuum, are relatively easy to acquire. The steamer can be rented and the rental for this equipment usually lasts a whole day. Now, the nice thing about doing a really deep cleaning on your carpets is that you will only need to do this once every couple of months. So, ready to learn more about how to keep your carpets clean? Let’s do it. Vacuum those carpets well beyond what you think you need. Before we get to steaming the carpets, you’re going to need to give them a good vacuuming. Try to go in multiple directions over every little spot. You should also move relatively slowly for the best effect. 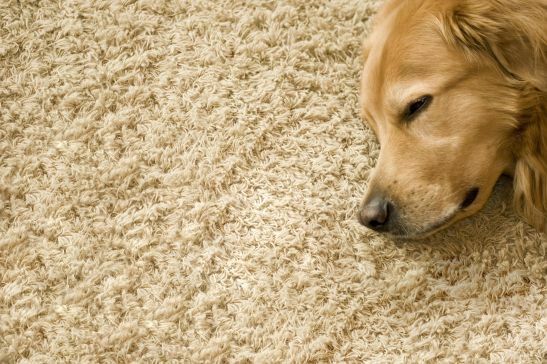 Try to avoid using spray-on carpet shampoos or anything laden with chemicals. If you’ve got stains then you can get them out with the products we mentioned above. Spot cleaning is green and easy. All you need to do is find the spot stains on your carpets and mix together¼ cup of Borax, ¼ cup of salt, and ¼ cup of vinegar. Using this paste, you can remove small stains from your carpets with ease. It’s also chemical-free, so it’s safe for pets and children if they happen to come into contact with it. Once you have rented your equipment, all you need to do is follow the directions provided. Make sure to remove furniture anything that might get in the way before you get to work. Once you have steamed the carpets, you can move everything back, but it is advised that you use a little tinfoil on any chair legs so that their stain doesn’t ruin your work. You can even double up and do it twice in one day just to make sure that it is really clean. This entry was posted on Wednesday, May 20th, 2015	at 1:51 pm	. Both comments and pings are currently closed.